Whether anyone would like to admit it or not, the idea of a special or novel event is exciting, inviting, and immediately piques our interest. Both restaurants at The Turbine Hotel and Spa like to keep guests and fellow Knysna residents on their toes with new specials, tastings and evenings while also keeping some firm favourites like our weekly soup nights. 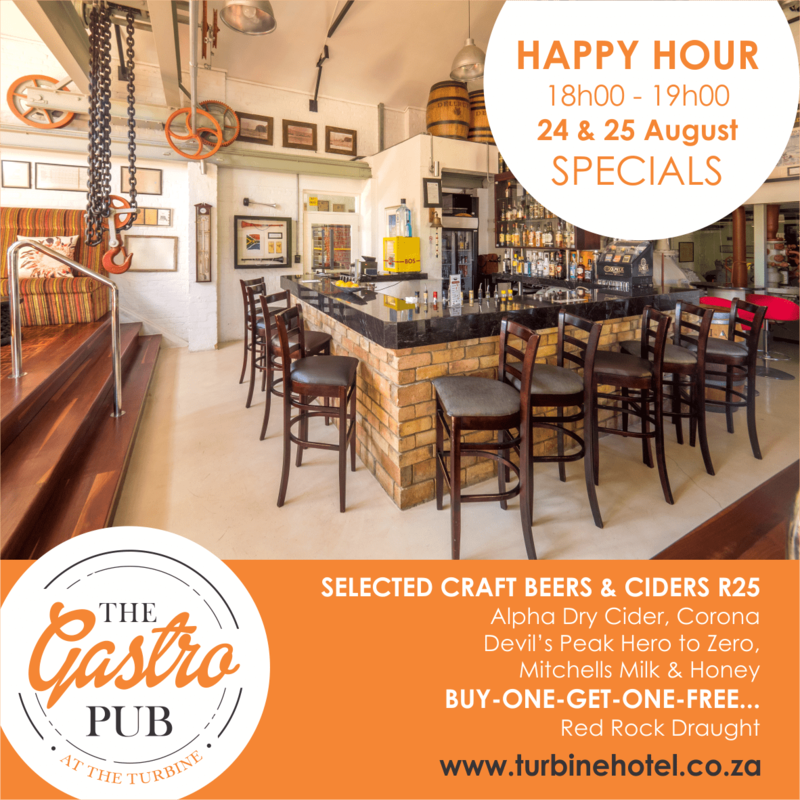 The Turbine’s Gastro Pub will be running a happy hour special every Friday and Saturday with the next on the 24th and 25th of August 2018 from 18:00 – 19:00 and includes buy-one-get-one-free deals as well as discounts on some craft beers and ciders. 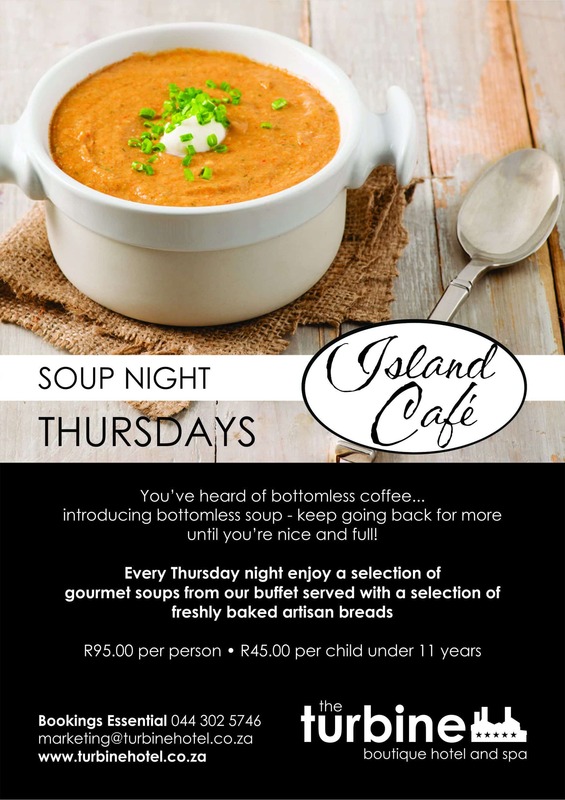 Another special coming from the Turbine’s Island Café, Thursday Soup Nights have become a popular Knysna staple. With a bottomless bowl and fresh bread, this is the perfect winter warmer. 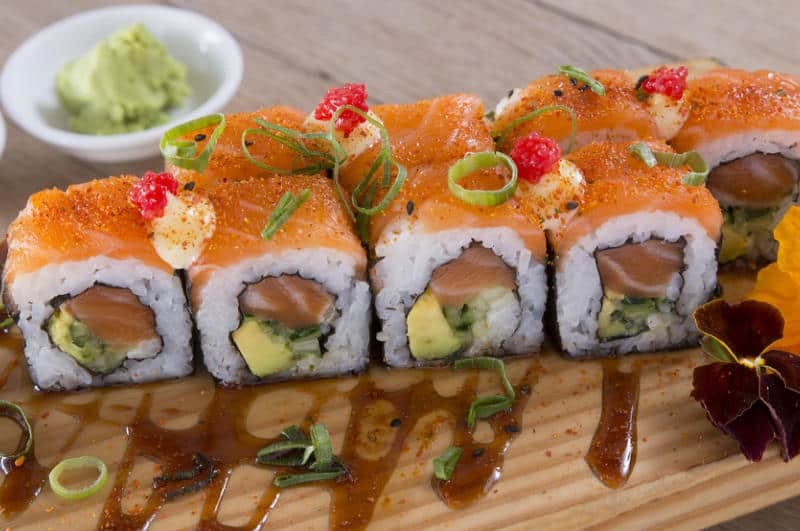 If a spot of sushi is tickling your taste buds, 34 Degrees South have declared every Monday as Sushi Day meaning half price from 11:00 AM to 22:00 PM! 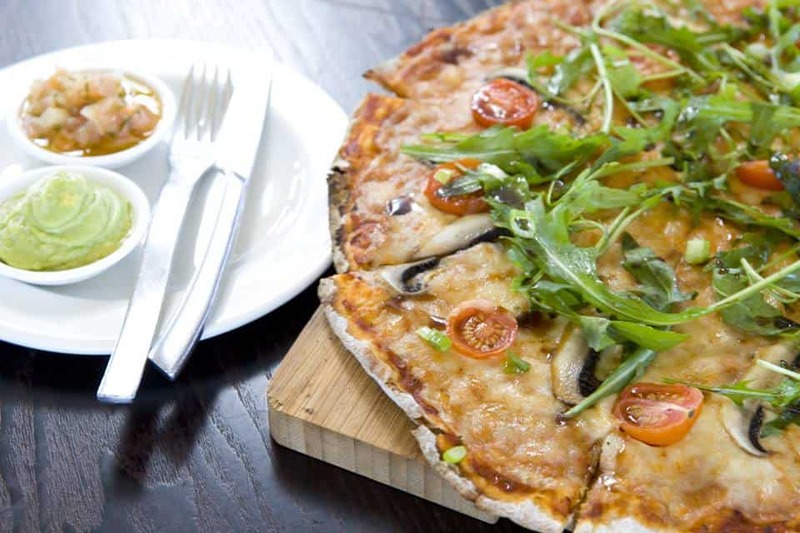 Especially popular with those travelling with children, Sirocco restaurant in Knysna has a half-price pizza special every Wednesday and Friday. With a variety of toppings and a relaxed atmosphere, this is the perfect easy-eating experience. If you’re a whiskey fan, the Island Café‘s tasting on the 31st of August 2018 is for you. Including 6 different Jack whiskey’s, 4 courses, an amuse bouche, as well as coffee and liqueur afterwards. At R195 for the entire evening, this is not to be missed! 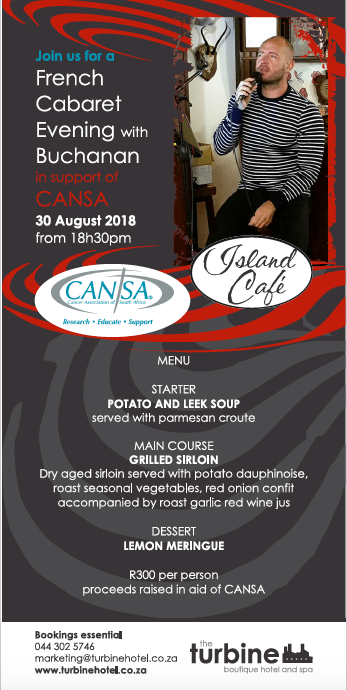 The Island Café at The Turbine is hosting a French Cabaret event to support CANSA on the 30th of August 2018 from 18:30 PM which includes a decadent 3-course meal and entertainment for R300. Whether you are staying with The Turbine Hotel and Spa during the week or over a weekend, there are bound to be some specials for you to enjoy!